This Yosemite backpacking route is a great alternative to the ever popular, and crowded, Half Dome 3 day trip. 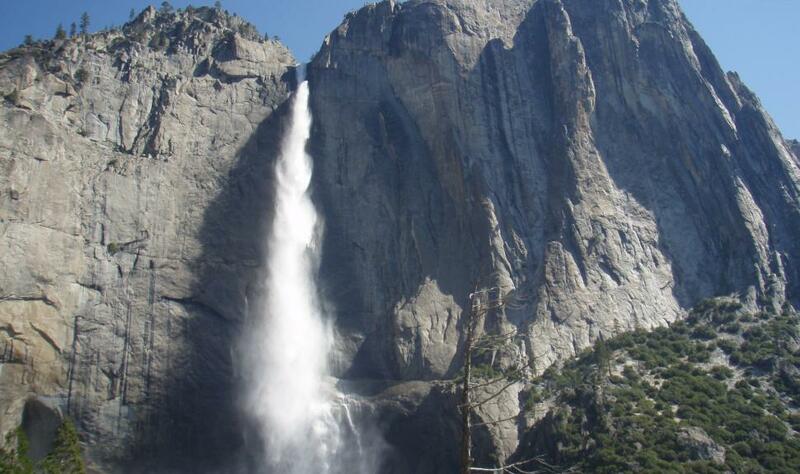 While also starting from Yosemite Valley, the Yosemite Falls/Snow Creek tour will have you leaving the day hiking crowds behind after a few miles as you ascend on the Upper Yosemite Falls trail. You will hike up the tallest fall in the park, as well as the lower 48 states, hike to the top of El Capitan (and wonder why all these people are climbing it when you can just hike to the top), see Half Dome from across the Valley from the less populated North Dome, and then make your way back to the Valley, finishing the loop via the Snow Creek trail. We pack up and hike toward Indian Rock and North Dome. We will take a couple side hikes in order to ascend the 8,522-foot (2,597 m) Indian Rock and the 7,542-foot (2,298 m) North Dome. From North Dome, we will have outstanding views of Half Dome and Clouds Rest. Our goal is to camp along Snow Creek this evening, at an elevation of about 7,000 feet (2,134 m). Today’s hike will be about 8 miles (12.9 km). The group packs up camp and we finish our loop by descending the Snow Creek Trail. This is a steep 2,500-foot (762 m) decent over 2 miles (3.2 km) before we hit the floor of Yosemite Valley. We once again have great scenery along the trail and the group is usually back to the Yosemite Valley just in time for a hearty lunch if you so choose. The total mileage hiked this day is from 4 to 6 miles (6.4 to 9.7 km).